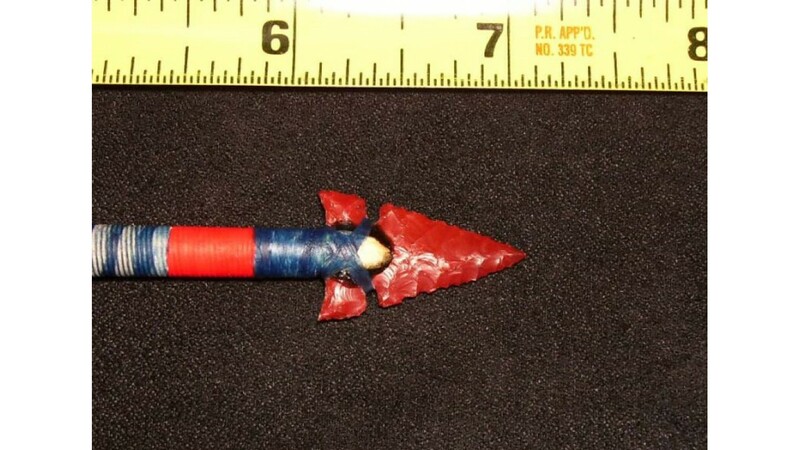 This beautiful arrow is a replica of a Hupa arrow I examined several years ago in the Smithsonian. 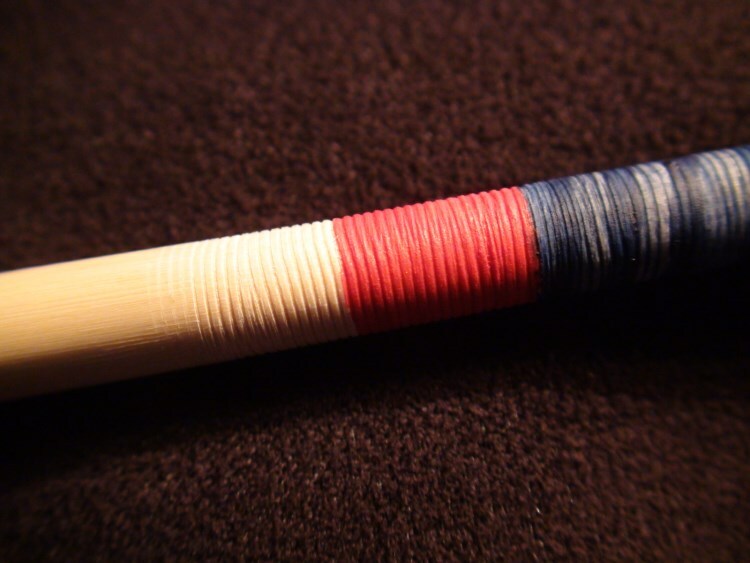 It's a single shaft made from an Oceanspray shoot painted in the same pattern and same colors as the original. 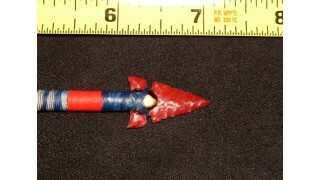 The small side-notched point is made of blood-red jasper and is secured with pine sap glue and wrapped with sinew. 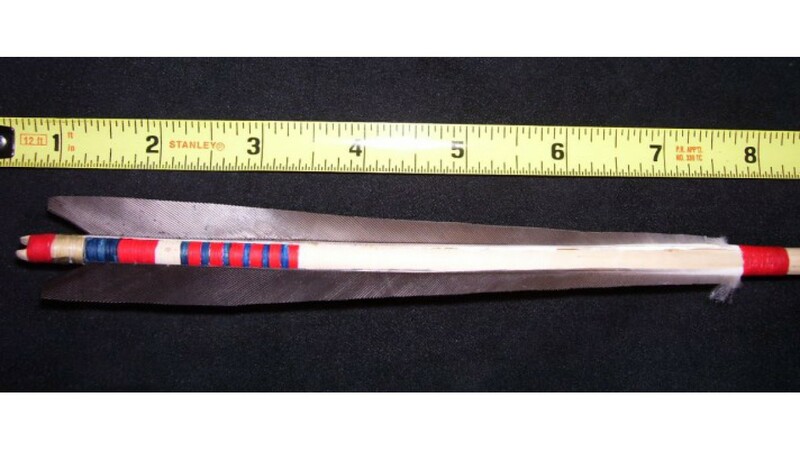 The fletching is Canada goose wing feathers secured with sinew and glued with hide glue. The Hupa and surrounding tribes made some of the most exquisite and beautifully decorated arrows in all of North America. The vast majority of the ones I've examined exhibit painstaking workmanship and skill. This arrow follows their exquisite traditions and displays subtle features of authentic arrows that most people would overlook, let alone take the time to duplicate. 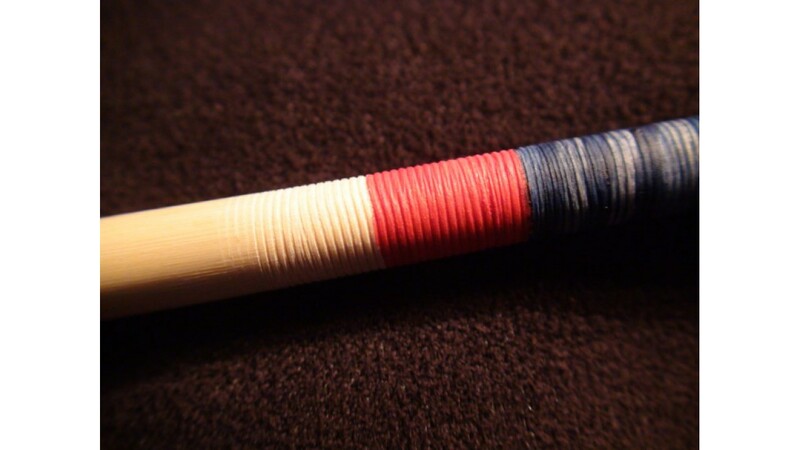 For example, a very common feature of arrows from northwestern California is very fine rings cut into the front and rear portions of the shaft. These rings are made by sanding the shaft with Horsetail rush. This silica-rich plant has very fine ridges along its length and makes a surprisingly effective natural sandpaper. The Hupa took pieces of horsetail rush and laid them along the shaft as the shaft was rotated, cutting fine grooves that resemble the threads on a screw. Why this was done and exactly how they did it is a mystery, but it certainly was a widespread cultural trend. I've developed a technique for duplicating these grooves using horesetail rush, but it's an extremely slow and laborious process. For a close up photo of the rings click here. 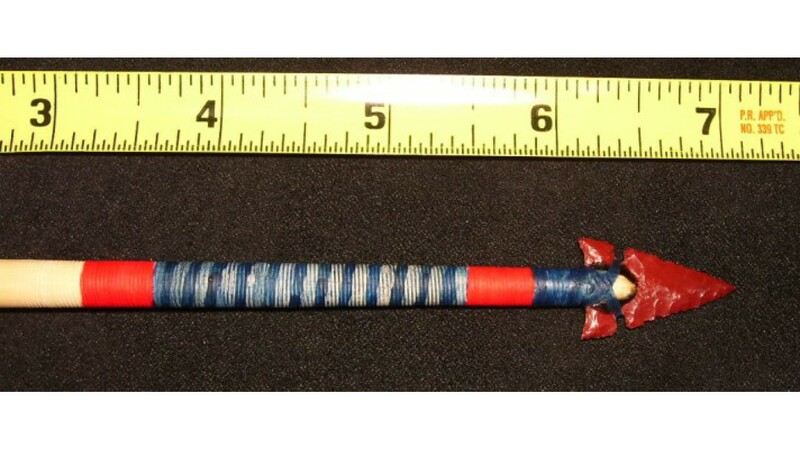 This arrow is so close to the originals that it could be placed in a batch of authentic arrows and would be mistaken as one of them if it were not for the light colored shaft with no patina and pristine feathers. Click the photos for larger images.